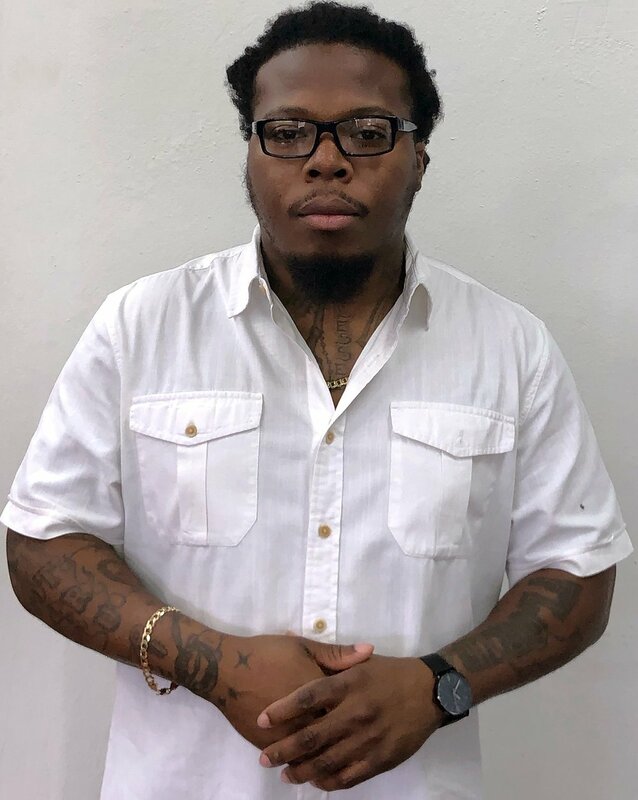 Kwame Hancock is a native of Brooklyn, New York with over 20 years experience as a barber and men’s hair stylist. His extensive hands-on styling techniques are as a result of a decade spent traveling throughout the country learning from respected platform & educational artists. “We have created an environment where men can feel comfortable and have all of their grooming needs met. No matter who serves you at The Fine Grooming Studio, rest assured they have been and continue to be trained and educated regularly." Kwame still travels nationally to keep up on the current trends in men’s hairstyles, dedicated to perfecting the skills of his talented team as well as his own. Paul Simon is an energetic and methodical professional barber, that gives great attention to detail. He has had a passion for the barbering industry for over 20 years, and in that time he has mastered a wide-range of barbering techniques including blending, shear cutting, and razor shaping. Paul specializes in classic cuts, modern cuts, men and women cuts, and kid's cuts. Understanding that continual education enables him to provide excellent service to his clientele and stay at the forefront of his field, Paul regularly seeks to increase his knowledge of new products and services. "The Fine Grooming Studio places high value on listening to our clients, understanding their needs and respecting their hair. We stay updated on the latest trends so that we can give you the look you want. Moreover, we strive for unlimited creativity!" Hurbert "Hurb" Winfield Originally from Buffalo NY. Hurb moved To Jacksonville, FL in 1999, with over 25 years of experience and a wealth of Grooming Knowledge. He is the go-to for all of your grooming needs. Specializing in beard care, Line-ups and Specialty cuts. Rebecca Briggs was Born in Chicago and have resided in Jacksonville Florida for over a decade. A United States Navy Veteran and a very passionate Cosmetologist who specializes in hair coloring, braids and hair extensions. she obtained her cosmetology licence from the Parisian Spa Institute. Her absolute joy is making her clients look and feel better than how the came in. she prides herself on customer satisfaction. Terry Wright Originally from Jacksonville, FL. and have been a professional hair groomer for over a decade. The love that he has for the hair care industry shows in his work providing all of he’s clients with exceptional service while helping them achieve their best look. For Terry it’s more than a haircut, it’s about truly taking care of he’s clients, identifying issues from skin, scalp, and hair issues. Professionalism is key, treating all clients with respect and reciprocate it in return.